Senator Bob Gordon | Community Options, Inc.
On Monday, May 23rd, Community Options hosted a Spring Golf Classic at Alpine Country Club in Demarest, NJ. With perfect weather, the golfers enjoyed a great afternoon of golf and fellowship. 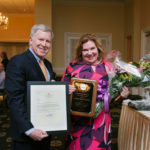 At dinner, Community Options’ Trustee Gail Balph Gordon and Senator Robert Gordon were awarded Community Options’ highest honor, the Betty Pendler Award. Betty Pendler was widely recognized for her relentless pursuit to provide individuals with disabilities a chance to enjoy all that life has to offer. 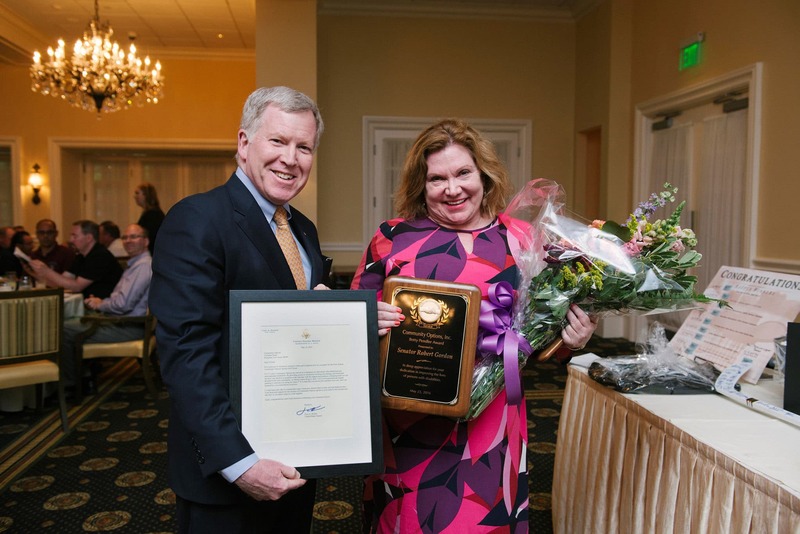 The Betty Pendler Award is presented annually to an individual who exemplifies the mission of Community Options: To develop housing and employment supports for persons with disabilities. Both Gail and Robert Gordon have a long history of advocating for individuals with disabilities. Gail serves on the Community Options Enterprises (COE) Board and has extensive expertise in crisis management, community relations, and political affairs. Senator Gordon, who serves the 38th Legislative District in the New Jersey State Senate, also serves on the NJ Health and Human Services committee, and has long shared the same views as Community Options regarding opportunities for individuals with disabilities. He has utilized his position as Senator to advocate for the dignity of every person, regardless of disability. Because of avid supporters like Gail and Senator Robert Gordon, Community Options is able to continue to provide individuals with disabilities the opportunity to have an impact in their respective communities. 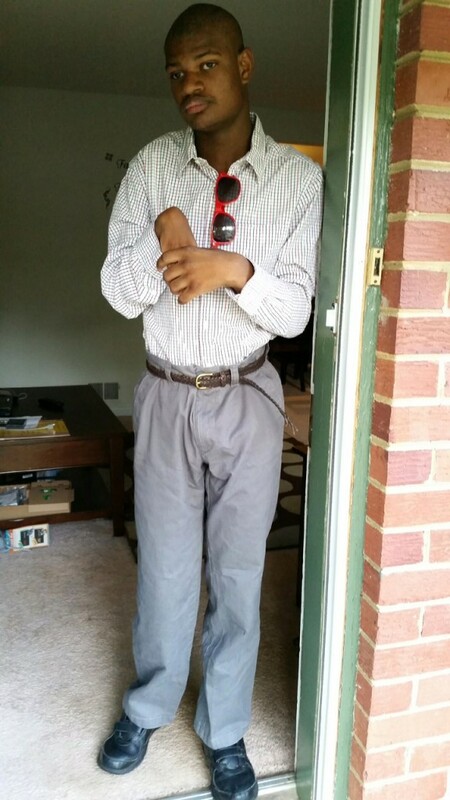 Clarence came to Community Options for assistance with finding competitive employment. 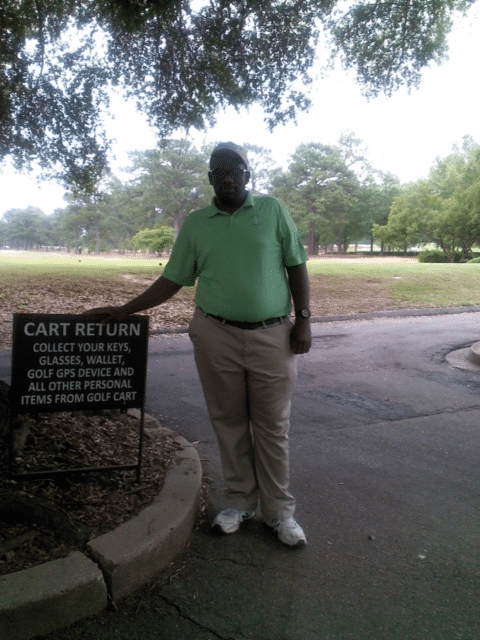 He interviewed and was hired May 13, 2016 at the Fort Jackson Golf Club! 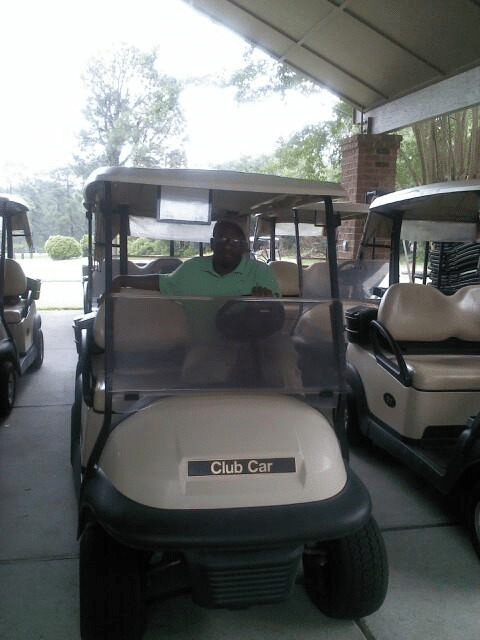 Clarence washes and maintains the golf carts as well as drives them around, interacting with the golfers. He also gets to play two rounds of golf per month for free. At first, Clarence only wanted to work in a print shop since he had worked in a similar job in high school. However, after meeting and interviewing with Mr. Matt, the manager of the Golf Club, he accepted the job. Clarence works 32 hours a week. After working there only a month, Clarence’s colleagues consider him part of their team. 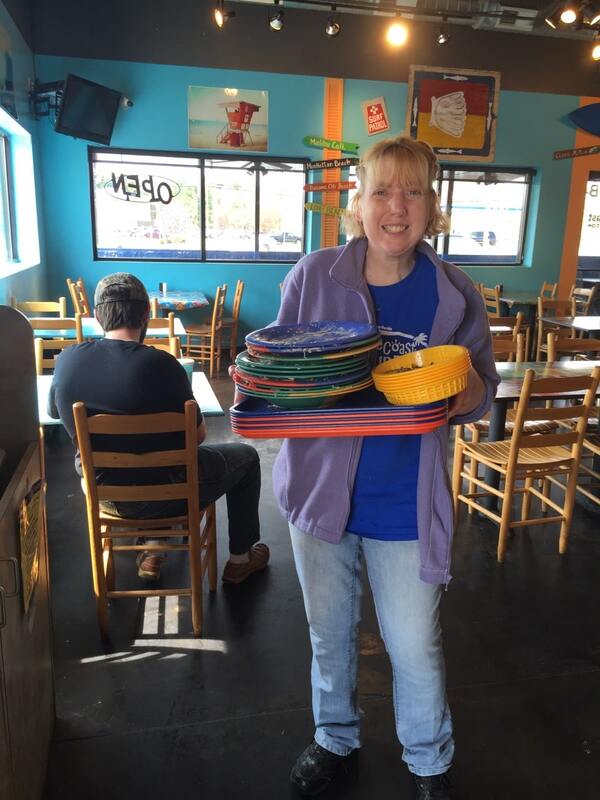 In December 2013, Community Options assisted Amanda in getting an interview with Brian Mueller, owner and manager of Blue Coast Burrito in Cookeville, TN. At the interview, Brian offered Amanda a job washing dishes three days a week. It wasn’t long before Brian saw great potential in his new hire and asked her to work additional days and added responsibilities to her position. 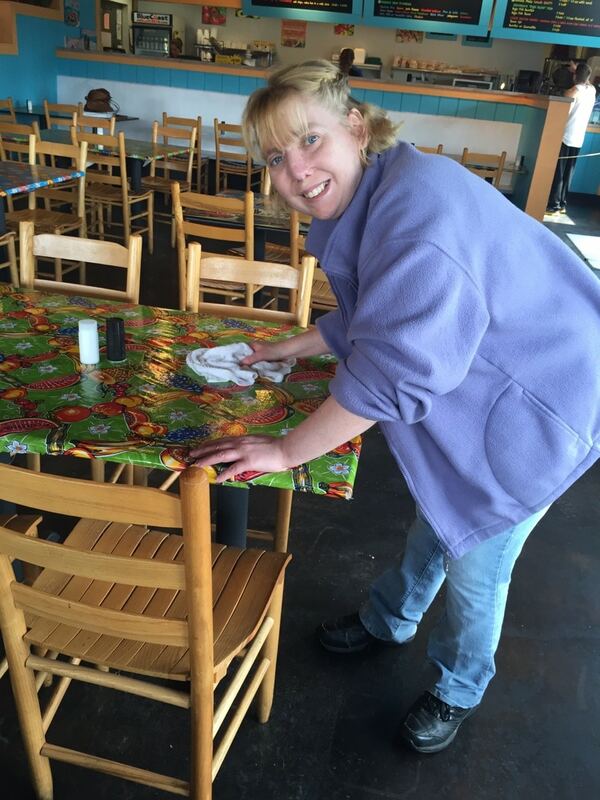 Amanda has now been working at Blue Coast Burrito for over 2 years. She is a valued employee, appreciated by management, other employees and customers. Amanda’s hours have recently increased again and she now receives a portion of the restaurant’s tip pool each week. As a result of her hard work, Amanda is planning a vacation this summer. She is thinking of going to the beach or to Walt Disney World. Community Options is very proud of Amanda’s success! The Community Options staff in Dallas has been very busy this past winter and spring with the transition of five new individuals into homes. 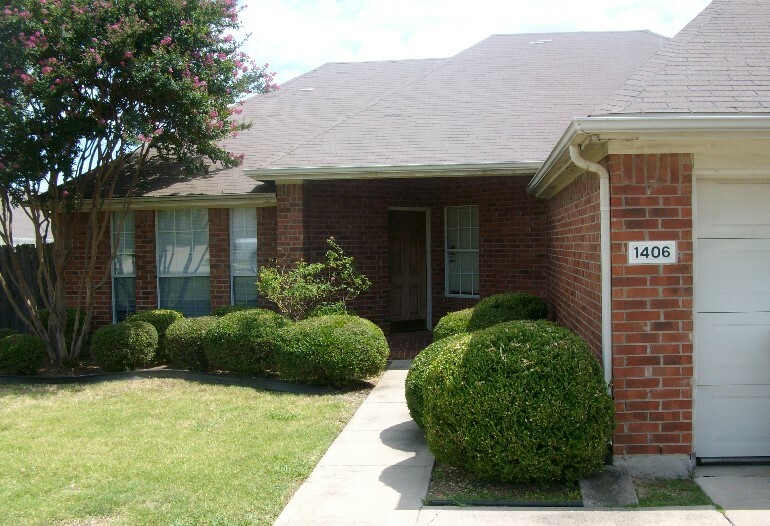 Brian, Johnny and Jarmacus moved into their new homes in Carrollton, TX, while Kathleen and Adrian each moved into their new homes in Garland, Texas. All five individuals are enjoying their new homes and thoroughly enjoy being an integral part of a community. “I am so happy and proud of the five newest members to our family. As well, I am proud of my team for their hard work to make these transitions happen,” said Jeni Greene, Executive Director of Dallas, Texas. Welcome home to Brian, Johnny, Jamarcus, Kathleen and Adrian! Registration for Cupid’s Chase 5k opens in July! Now taking place in more than 30 locations, there’s no excuse not to participate! Register early to receive early bird savings. And now, the more money you raise the more Cupid’s Chase swag you will receive. Community Options Enterprises has recently undergone a transformation in its infrastructure. In an effort to improve its operational efficiency, changes have been made in the organizational structure. COE has appointed Dina Casalaspro as Managing Director of Employment & Development Services. She provides oversight to all COE operations. Andrew Park continues to oversee all operations of the entrepreneurial businesses as Managing Director. In addition, three Regional Directors, covering the northern, central, and southern regions, will provide day-to-day oversight of all meaningful day habilitation programs, School To Employment Program (STEP) and supported employment in their respective regions. Yasmin Qazilbash has been appointed Regional Director of the southern region. Meghan Hunter has recently been promoted to Regional Director of the central region. Katie Valle has been hired as Regional Director of the northern region. The Red Ribbon Academy, the specialized medical day program in Wayne, NJ, continues to thrive. The Red Ribbon Academy has been widely received as a quality program for individuals with complex medical needs. Due to its success, a second program is being developed in Hillsborough, NJ. This program is scheduled to open this summer. Ayesha Patrick has been appointed Managing Director of the Red Ribbon Academy and will oversee efforts to expand the program. Community Options takes great pride in offering its executive staff Leadership Certifications from Duke University and CEG. Thus far, eleven executives have completed and provided positive feedback. According to Jeni Greene, the Dallas region Executive Director, “The Leadership Certification Program provided me the tools to be a more effective manager. I’m able to use many of the tools in my operation to instill a high performing team”. Another Executive Director from the Philadelphia region, Nick High, believes “the program has given me the opportunity to look at my leadership style with a critical lens. It has provided me with the ability to focus on both leading a team today and continuing to build one for the future”. Other Executives in the program were able to immediately put into practice what they learned and have also shared their learnings with their respective management teams in order to develop their team’s leadership skills. Meredith Quinn, Executive Director for Bergen and Passaic Counties in New Jersey, thinks “the program has become a wonderful resource for me that I can now utilize in Management Training for my team”. Community Options is committed to strengthening Directors so that they can successfully lead the organization into the future. 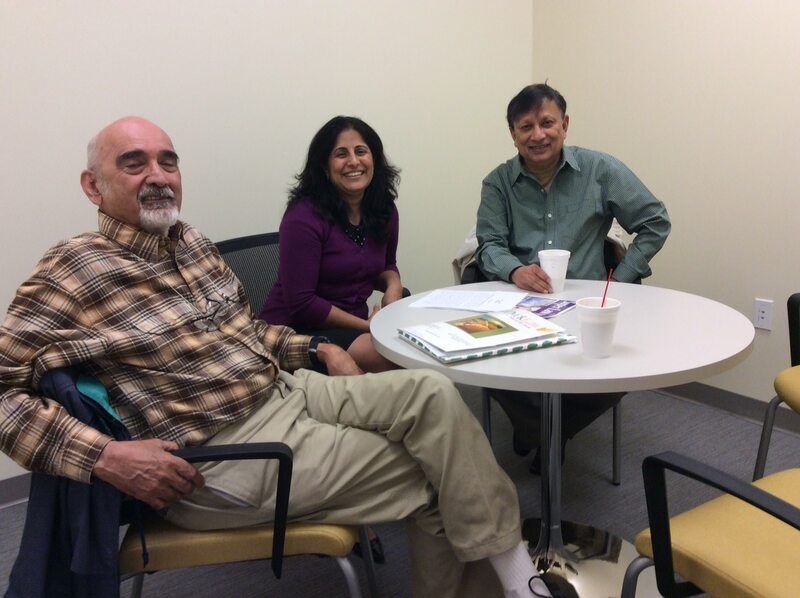 In November 2015, Community Options began establishing an operation in Rockville, Maryland. Community Options opened their first home in Maryland on February 29th, 2016. Soon thereafter, three people with disabilities were living in their new home. 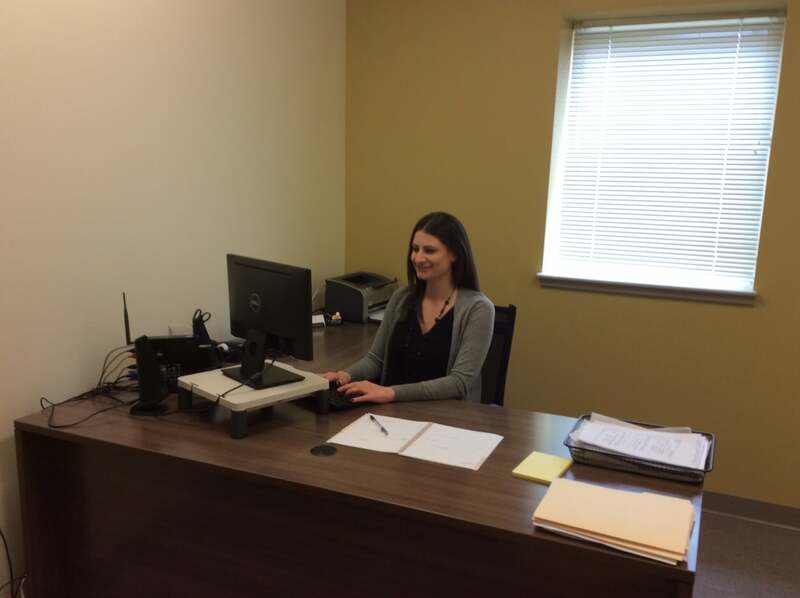 The Maryland office has since renovated and opened up additional homes in the Rockville/Silver Spring area. 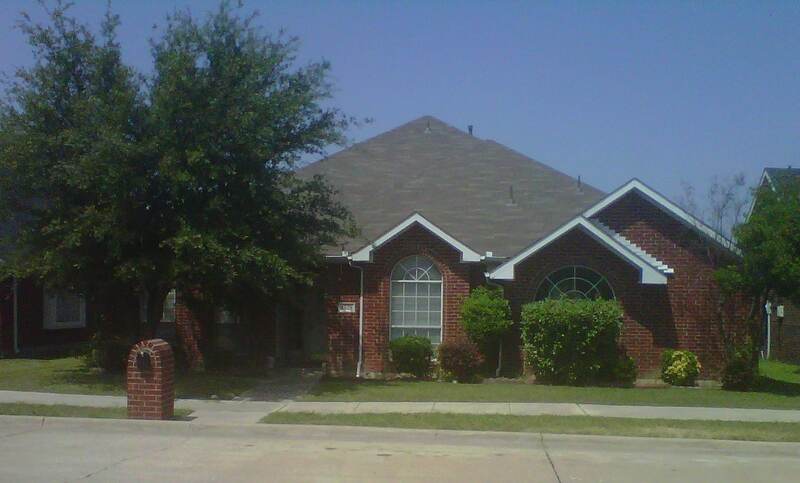 Community Options supports twenty-four individuals and has six beautiful homes. In addition to residential services, Community Options also provides supported employment services, personal supports, and has two day programs in Montgomery and Howard Counties. The Maryland team looks forward to continued growth and success. Community Options opened up its first Daily Plan It nineteen years ago in Princeton, NJ. Today, Community Options now operates four Daily Plan Its in New Jersey: Princeton, Morristown, Moorestown, and the Daily Plan It West located at the National Office in Princeton. The Daily Plan It West, the newest location, offers ten offices, a state-of-the-art conference room, guest reception services to tenants and provides access to a fully equipped copy center to serve local business owners and executives looking for an office to rent. 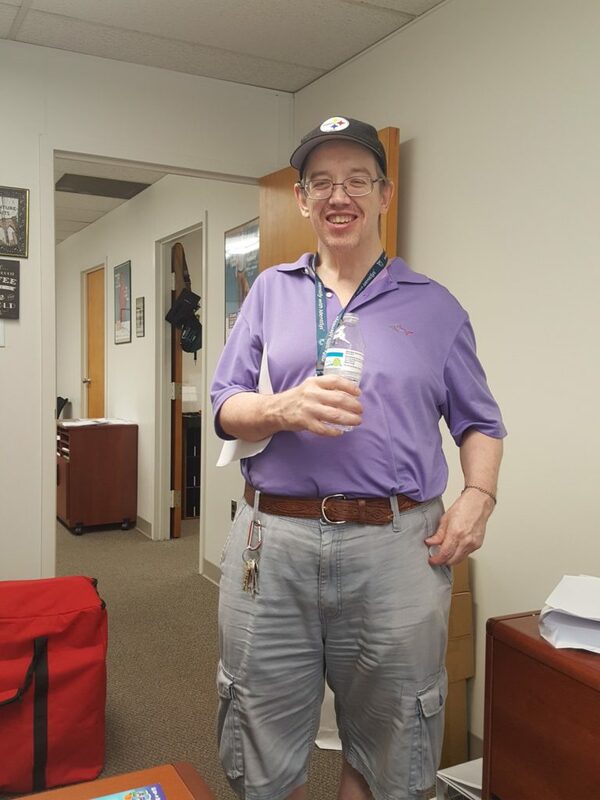 In addition to being a great office space for tenants and their businesses, Daily Plan It West in Princeton is designed to support people with disabilities in a day habilitation program that offers meaningful activities. A celebration of Community Options’ 20 years of service in New York City. 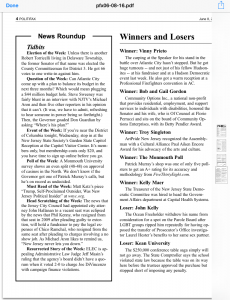 Community Options, Inc., a national non-profit that provides residential, employment, and support services to individuals with disabilities, honored the Senator and his wife, who is Of Counsel at Florio Perrucci and sits on the board of Community Options Enterprises, with its Betty Pendler Award. On May 23, 2016, Community Options, a national nonprofit dedicated to providing housing and employment support to people with intellectual and developmental disabilities, hosted its annual iMatter Golf Classic at the Alpine Country Club in Demarest, NJ. Gail Gordon and Senator Bob Gordon certainly have their plates full these days. Gordon is running for re-election and you would think that all of their time and resources were dedicated solely to ensuring this happens. Well, it is, however, they both seem to find time to continue to give back regardless of how full their schedules may become. 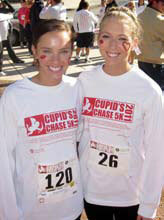 Cupid’s Chase 5K Run. The Cupid’s Chase 5K Run is the country’s largest 5K charity run and she leads twenty-five other local chairs across the country to work to gain sponsorships and in-kind donations. 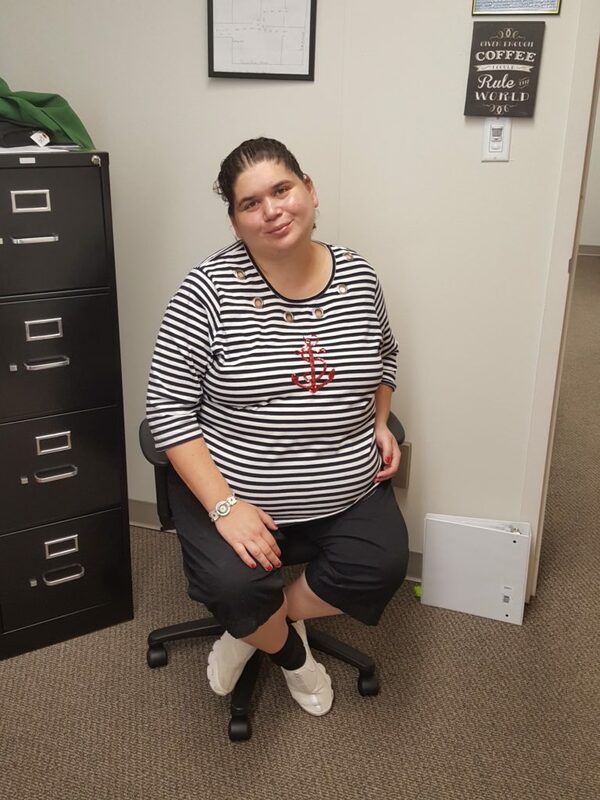 Gail believes in the mission of Community Options, which is to develop homes and employment for people with disabilities. Every month, she participates in a meeting with the planners for the Cupid’s Chase 5K and participates in a weekly conference call with fundraisers for the event to ensure that everything is on track. 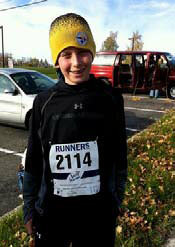 “I consider it an absolute honor to serve as the Chair of the Cupid’s Chase 5K Run. I can think of no better way to give back than to be part of such a profound movement,” says Gordon. 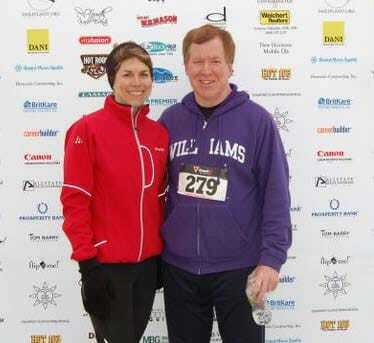 Senator Gordon is no stranger either to giving back as he serves as the local Glen Rock Cupid’s Chase 5K Chair and also had this responsibility in 2011 as well. 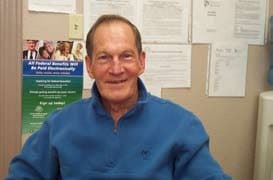 Gordon has spent time visiting some of Community Options’ group homes in the spring of 2011, which confirmed his commitment to serving another year as the 2012 chair. Gordon meets with the Glen Rock committee every month to go over logistics to prepare for the day of the run. Last year, Gordon trained and ran in the Glen Rock run alongside the Real Housewives of New Jersey and did exceedingly well. The Glen Rock Cupid’s Chase hosted over three hundred people in 2011 and for 2012, is expecting that number to double. organization in his home in 1989. Today, the organization support thousands of people with disabilities and their families in thirty-seven cities across ten states with the help of over 2,600 employees. June 10, 2011– (Fair Lawn, New Jersey) – Community Options, a national nonprofit organization with the mission to develop homes and employment for people with disabilities, is proud to have Senator Bob Gordon tour two of their northern New Jersey group homes today. Since 1989, Community Options has been developing homes and employment for people with disabilities and today, the organization operates over two hundred homes and seven social enterprises across the United States. “We are honored that Senator Gordon is touring two of our Northern New Jersey group homes today,” says, Robert Stack, President and CEO of Community Options. “It has always been our experience that when we are able to give tours of our homes and show the quality of life that people with disabilities are experiencing as a result of living in the community, it speaks for itself,” he added. For more information about Community Options, please visit www.comop.org or join them on Facebook at Facebook.com./communityoptions. About Community Options: Community Options is a national nonprofit organization founded in 1989 by Robert Stack that works to develop homes and employment for people with disabilities. Community Options operates in 37 cities across 10 states supporting thousands of people with disabilities and their families with the help of over 2,500 employees.